Home » Yemen and the Saudi "Game of Thrones"
Saudi Arabia has suffered a crushing defeat in Yemen. The conflict appears to be only unpromising for them. Houthis and troops loyal to ex-president Saleh firmly hold North Yemen and are conducting military operations in the province of Najran on Saudi territory. South Yemen is experiencing intermingled control by Saudi coalition troops, Arabian Peninsula al-Qaeda, ISIS, and southern Yemeni separatists. Recently, representatives of the Houthi movement announced the creation of a government which will include members of their own "Ansar Allah” party , the "General People's Congress” party of former president Ali Abdullah Saleh, as well as members of other parties and organizations. At the same time, similar attempts by the Saudis to set up some kind of interim government in Aden have completely collapsed. President Hadi, supported by the Saudis and their allies, and his government are based in Riyadh. In Najran in the border region with Yemen, Saudi Arabian local tribes have launched a rebellion against the official authorities. Let us recall that 2015 was marked by the Saudi-led Arab coalition’s full-scale invasion of Yemen. In addition to the Saudis, the United Arab Emirates, Bahrain, Egypt, Morocco, Jordan, Kuwait and Pakistan have participated in the war against Yemen. The latter only formally joined the coalition, but has no real involvement in the conflict. The main brunt of the war is borne by Saudi Arabia, the UAE and Bahrain. At the same time, Saudi Arabia has also been defeated in Syria. It failed to oust Bashar Assad and since the reorientation of Turkey towards Russia and Iran, the Saudi position has become more precarious. The so-called Riyadh Syrian opposition group was for the most part controlled by the Turks. The Saudis’ leverage over the Syrian process in Riyadh is getting smaller. Conducting two military campaigns at once - the open war in Yemen and the proxy war in Syria - is proving increasingly difficult. This is understood by the Saudis’ close allies, the United States. Thus, the US has recognized the futility of the military campaign in Yemen, as just yesterday it was reported that the United States has withdrawn its planning group from the country which provided needed intelligence to the Saudis. The group has now been based in Bahrain. The intervention in Yemen and the war in Syria are largely competing projects (at least some sources are trying to present it in this way). It should be understood that the Saudi Kingdom is now facing a fierce struggle among its elites. The reigning King Salman is seriously ill. After his death, power should be passed onto members of the second generation of the Saudi dynasty. 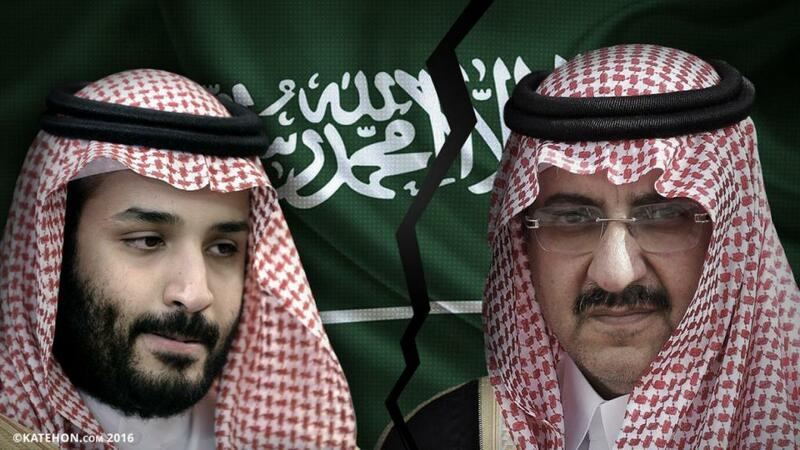 It is most likely that Prince Mohammed ibn Salman (Minister of Defense) and Crown Prince Mohammed Ibn Nayef Al Saud will clash in a struggle for power in the near future. In turn, Mohammed ibn Salman, who is only 31 years old, is quite ambitious and seeks at all costs to take the throne of his father. Some analysts even foresee a soft coup following King Salman’s death since his son is the second in line to the throne after his uncle Muhammad ibn Naif. For the US, he is quite a new player. The war in Yemen was an initiative of this Salman. With the help of a victorious war, he sought to increase his own prestige and status, but miscalculated. Mohammed ibn Salman has periodically visited Russia, apparently seeking support from the Russian side. Recently, the special representative of the Russian President for the Middle East and Africa, Russian Deputy Foreign Minister Mikhail Bogdanov, met with him. These contacts explain the growing importance of Russia in the Middle East against the background of the successful and consistent operation in Syria. Russia is also awaited in Yemen. Former Yemeni President Ali Abdullah Saleh stated yesterday that Russia is ready to provide ports and bases for the stationing of Russian soldiers. Controlling Yemen means control over the most important transport artery: the path from the Indian Ocean and Persian Gulf to the Red Sea and Mediterranean. Russia is naturally not interested in a Saudi victory in Yemen. And this is impossible. However, there is the possibility that Russia could help the Saudi coalition achieve an “honorable defeat”, initiate peace processes, and thereby allow Muhammad ibn Salman to come out of the Yemen adventure with a minimal loss of face. On the other hand, Russia’s actions in Syria could undermine the position of those opposing him. Meanwhile, Yemen will be free from Saudi influence and occupation forces.